I hate shopping for jeans. It’s a necessary evil that I do everything in my power to avoid. I have even gone so far as not to purchase jeans for the past 7 years. 7 years! My cousin was working for Angel jeans at the time, and the sample size was close enough to mine, so she threw about 30 pairs my way. They lasted for 7 years, but have slowly been disappearing from my collection due to normal wear and tear, and well, some of them were just completely out of style, so jean shopping was a must. The thing with jeans is that you really can’t fake it. Sucking in just doesn’t work, and if they aren’t going to make it over your hips, there is no way around it. 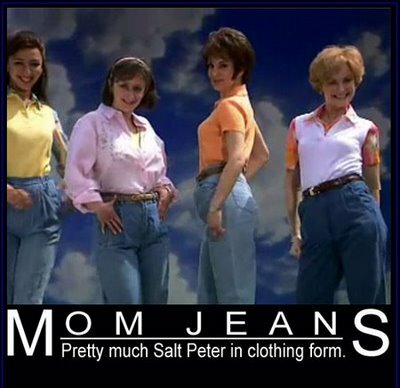 I remember when stretch jeans first became big. It was the best invention ever! I can now fit into more styles of jeans than ever before, whether or not they are flattering is another question. So why do I have such a problem with jeans fitting? Two things — one, I am a member of the petite movement. Short legs and long jeans just don’t work. I’m not a fan of getting my jeans hemmed as I have found that they somehow seem to shrink more when you wash them, so I’m always looking for short jeans. Secondly, I am also a proud member of the big booty brigade, so even if the jeans would theoretically fit my waist, it doesn’t matter if they don’t fit over my behind. With these minor set backs, when it comes to shopping for jeans I cannot be shopping for anything else, otherwise I will walk out empty-handed. I have to be focused on the task at hand. I no longer can get away with Angel or MUDD jeans. I have to be an adult about this, so I try on a bunch of different brands. Most recently, I’ve purchased two brands. Seven and Michael Kors. I am particularly in love with my Michael Kors. They just fit so well! The only downside is that they almost always have gold embellishments on them and I don’t wear that much gold. Mr. Kors, if you are reading this, can you make a line with silver embellishments? Thanks. I’m really not a name brand whore. I’ve always been one to, at least, be aware of the trends and to follow them as I see appropriate. I choose these name brands strictly based on the fit. I purchase them at a discount, not a department store. If I found a non-name brand that fit, I’d totally buy them, but something tells me I wouldn’t have much luck.